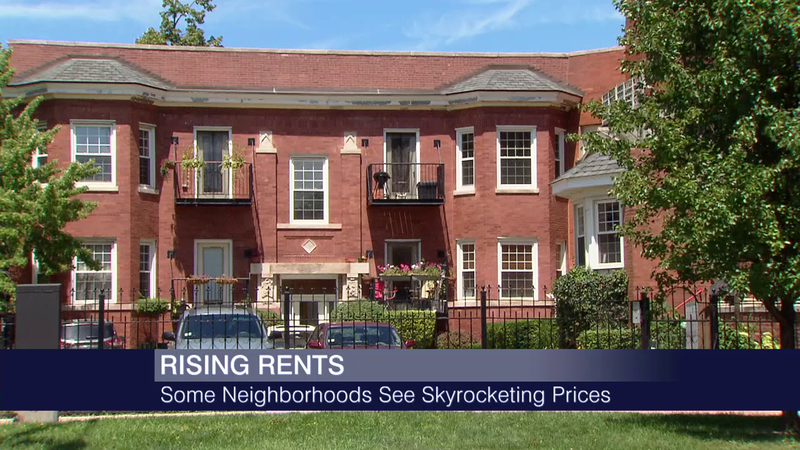 Watch the video: Some bad news for anyone searching for a Chicago apartment: Rents are going up, and in some places, dramatically. Rents are rising in Chicago and some renters are forking over more of their paychecks each month, as noted in The Chicago Reporter. Overall, rents across the country rose 3.3 percent compared to last year, according to a real-estate analysis from Zillow. Some neighborhoods have seen rents skyrocket over the last couple of years. A recent report from rental agency Domu found the average rent for a two-bedroom apartment has increased at a rate of 5.2 percent per year since 2012. Neighborhoods at the top of that list were Avondale (11.6 percent), Logan Square (9.9 percent) and Wicker Park (9.1 percent). We discuss factors behind these rent hikes with Alby Gallun, senior reporter for Crain’s Chicago Business; Geoff Smith, executive director for DePaul University’s Institute for Housing Studies; and Ald. Walter Burnett, whose 27th Ward recently saw a heated debate over a rental development that eventually got scrapped due to concerns from nearby residents. The map below displays average rents per neighborhood based on data from rental websites Domu and Zumper. Note: Neighborhoods are based on city of Chicago boundaries which may vary slightly from the neighborhood maps used by Domu and Zumper. Click an area to see what the average rents are. Best, worst areas to live for cash-strapped renters? See Domu's picks for “up-and-coming” neighborhoods and communities with more stable rents. Are you being impacted by higher rents? Sound off in the comment section below.